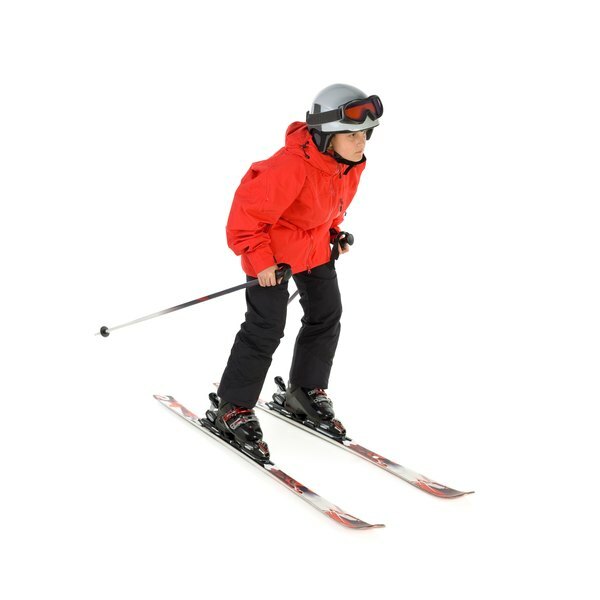 The NordicTrack Ski Machine consists of four legs and a base frame with two rollers. Attached to these rollers are the skis, which move back and forth to simulate real skis. There is a flywheel in between the skis. Coming up from between the skis at the front of the machine is an upright that attaches to the handlebars. Another upright attaches to the handlebars at a 45-degree angle. The console rests on this. At the top of this upright is the resistance knob and pulley. The arm cords run through that pulley. Unplug the console wire at both ends. Detach the console from the upright. Slide the battery cover to the left and remove it from the console. Change the batteries. The console requires two "AA" batteries. Replace the battery cover. Press the console back in its place on the upright. Plug the console wires into the console. Roughen the surface of the resistance pad with the sandpaper. Oil the resistance pad. Place two drops of the oil on the pad and spread it over the entire surface. Oil the washers. Place a drop of oil on a washer and spread it over the entire surface. Smooth the path of the resistance strap. Make sure it is still on its rollers properly. Remove the "U" bolt located on the flywheel using the Allen wrench. Locate the two nuts on the right side of the flywheel. Evenly tighten them using the wrench. Replace the "U" bolt using the wrench. Remove all excess oil with a smooth, dry cloth. Clean the bottom of the skis with the cloth. Remove the "U" bolt cover from the flywheel using the wrench. Locate the two nuts on the right side of the flywheel and tighten them evenly. Replace the "U" bolt cover on the flywheel using the wrench. Place the cloth underneath the rollers to protect your floor from oil. Place one drop of oil on each side of the left roller. Repeat on the right roller. Spin the rollers all the way around until the oil has spread across the rollers. Before beginning repairs, use the owner's manual to troubleshoot the machine. Call customer support for assistance or warranty information.